This Christmas time, I am trying to simplify…to edit, and to remove those things from my home that I do not truly love. 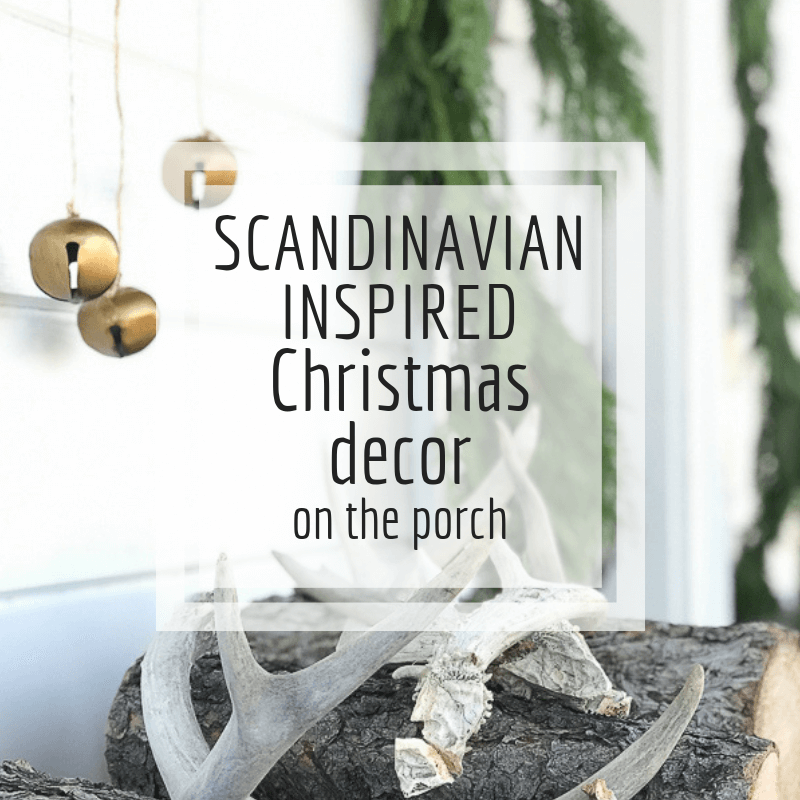 In finding inspiration for my Christmas home decor this year, something I have always gravitated towards is Scandinavian decor. 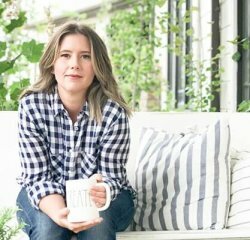 I love the simplicity, and clean look, and the focus on hygge. The use of fresh evergreen clippings, layers of fur, white everything, and fruits and candlesticks as accessories had my head spinning. 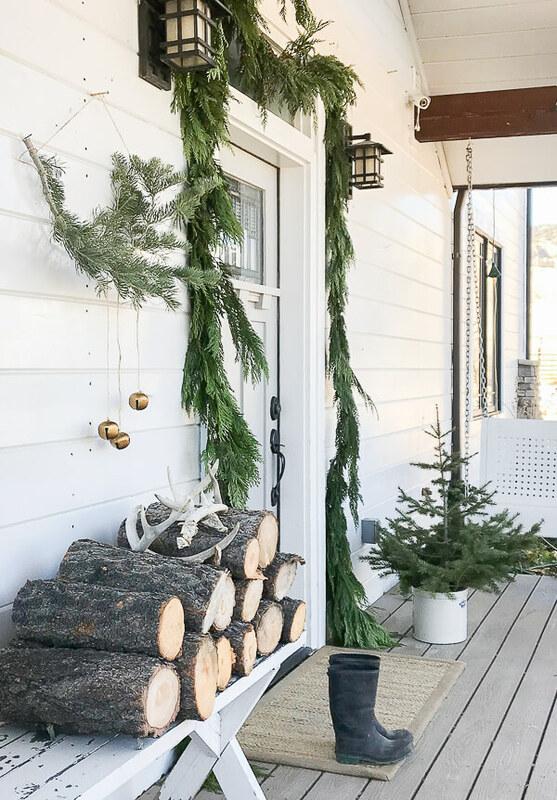 I have tried really hard to keep my Christmas decor this year simple, and today for my home tour I want to share my simple Scandinavian Christmas porch and entryway. Hey there! 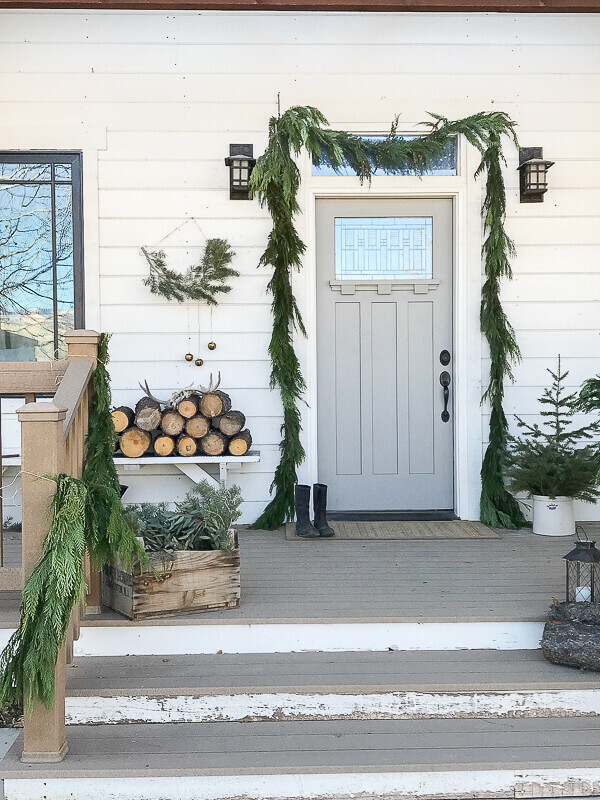 Welcome to my Scandinavian Christmas porch and entry home tour! If you are visiting from Making it in the Mountains, I am so glad you are here! I sure do love everything that Kristi does over there. Every year, I feel like I scale down my Christmas decor a little bit, but I find it really easy to go overboard and continually add Christmas decor until you have filled it to the brim. That was what I did not want that this year. 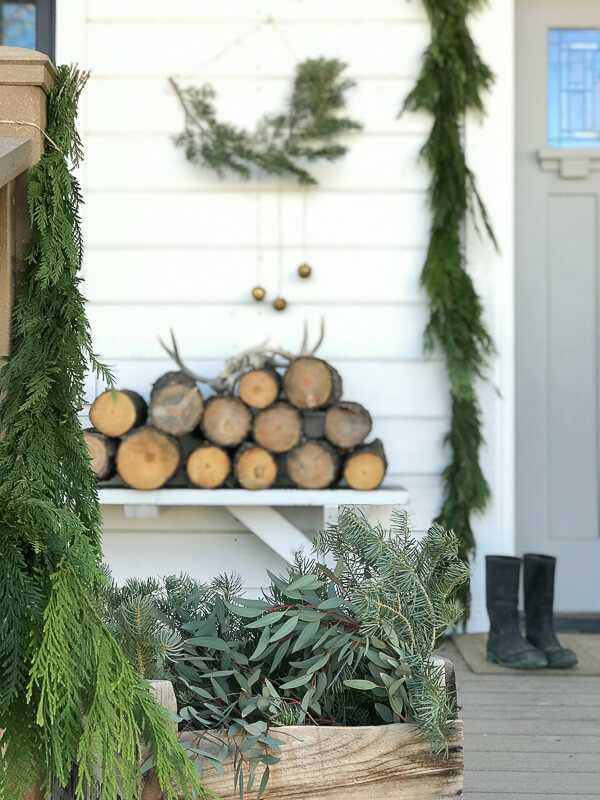 Today, I wanted to highlight the items I truly love, and focus on a natural Christmas decor this year. 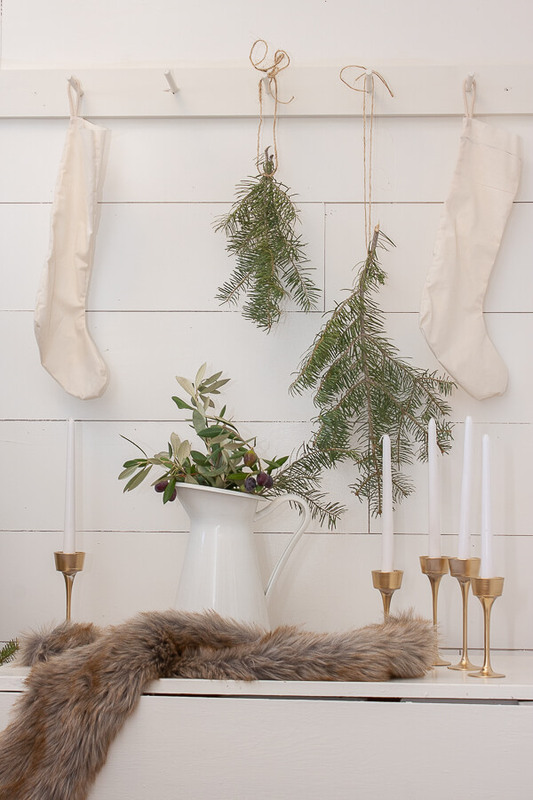 I have already posted all about my Scandinavian Christmas mantel and my Scandi inspired Christmas tablescape and dining room. I used a few of these elements in my porch decor this year. 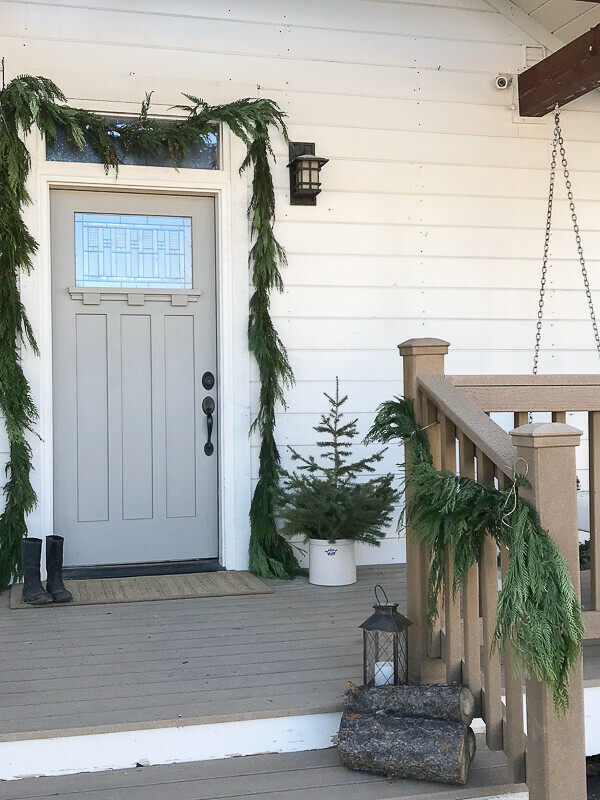 I have fallen in love with the fresh cedar garland you can get at The Home Depot and draped it over my front door and also added a bit to my stair railing, just to frame in the space and add some interest without going too crazy. 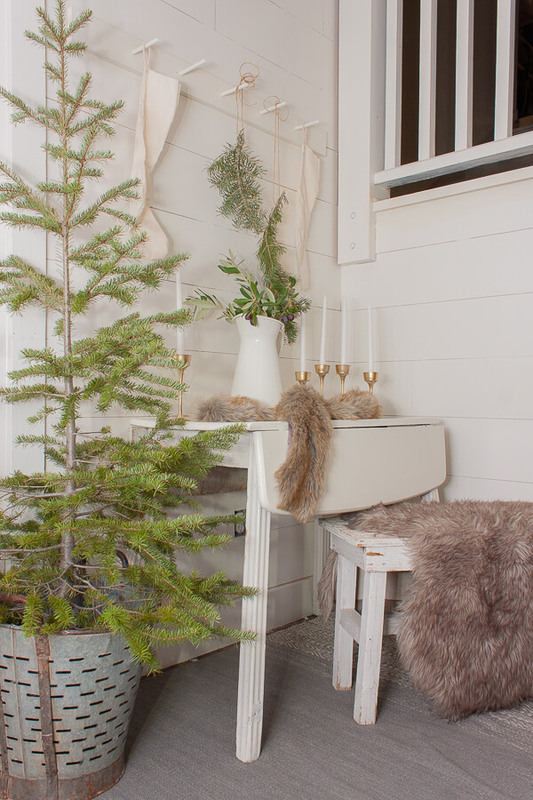 The hardest thing about decorating in the Scandinavian style is learning to edit. Place each piece with purpose. Make sure you love it and that it can speak all by itself. This garland…my gosh its gorgeous. I added some other evergreen clippings including olive branches and Eucalyptus to give more texture. Keeping my stairs simple was important to me, I added only a few logs of firewood, and a simple lantern. I tell you, this was a difficult thing to do. To stop when it was balanced and dressed up just enough. But, man I am loving this Scandinavian Christmas decor. My baby Christmas tree is the only obvious Christmas decor I needed. I paired it with a ceramic crock, and left it as is. Now lets talk about the logs, antlers and wall hanging. We have a wood burning fireplace so we are constantly stacking and storing wood and this has become a convenient little place to put some, and it looks so perfect for Christmas! A few deer antlers atop it act like icing on the cake. Now, how about that simple Scandinavian inspired wall hanging? You will not believe how easy it was to make. A single limb from our Christmas tree, some twine and a few metal jingle bells. I think this is my favorite part of my porch. How can something so inexpensive and easy to make be so perfect? I have found that this year my goal is to spend no money on my Christmas decor, and apart from some cedar garland I have accomplished this! 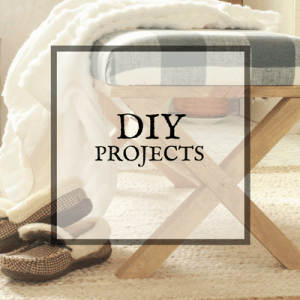 This is especially hard when you want to reinvent your decor every year(blogger problems). I just feel that I want my Christmas decor to work for me, and not the other way around. This porch certainly works for me! I am obsessed. Every time I go outside I sit and look at everything with excitement. But let me tell you, it was hard to just stop. Just stop decorating when it was just right. 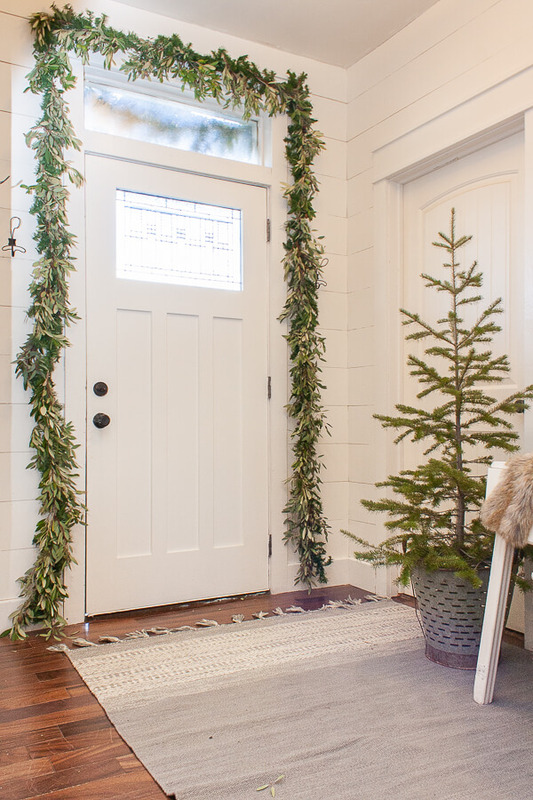 Now lets go in and check out my Scandinavian Christmas entryway…. I started with some handmade live garland. 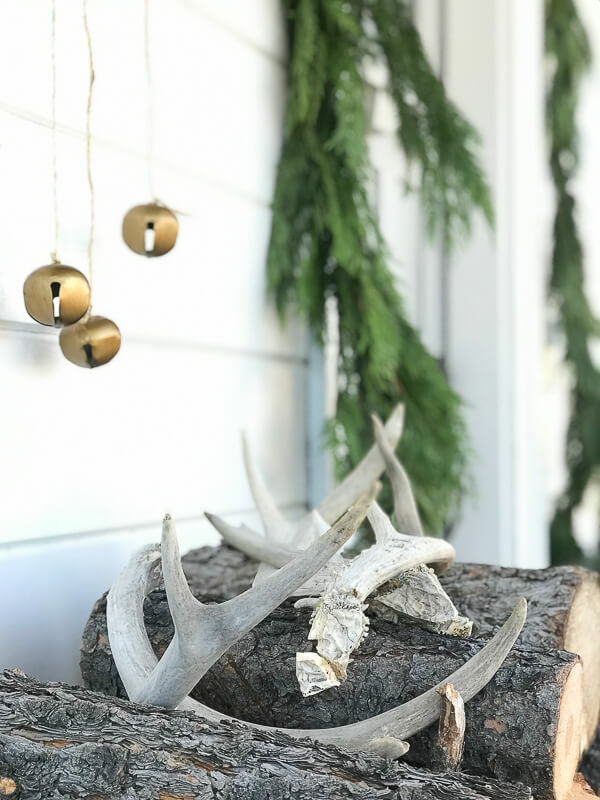 I actually made some of this last year and have a post on how I took cheap Walmart garland and upgraded it into fancy expensive garland. Simple cut Christmas trees cradled in a container are really my thing this year. All you have to do is add one of these to a room and instantly it is Christmas. But, for this room, I wanted to add a bit more. I wanted to add some textures such as fur, as well as white features and simple tree clippings. I also added some simple Swedish candlestick holders that I made from dollar store items. White, green, and a few gold accents, topped off with some fur treatments. Yes please. I guess you could say I was going for a Scandinavian farmhouse kind of look, since I could not do without my white pitchers. You really need to see how I made these dollar store Swedish candlestick holders. 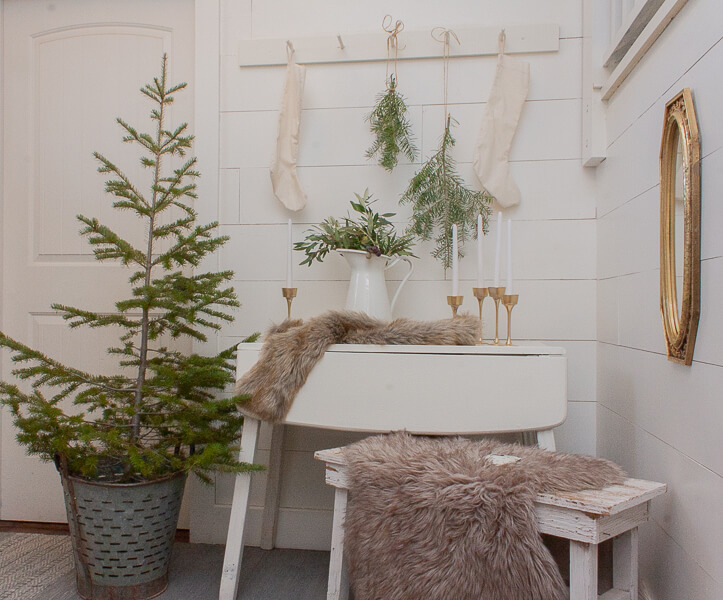 And that my dear friends is my Scandinavian Christmas porch and entryway. 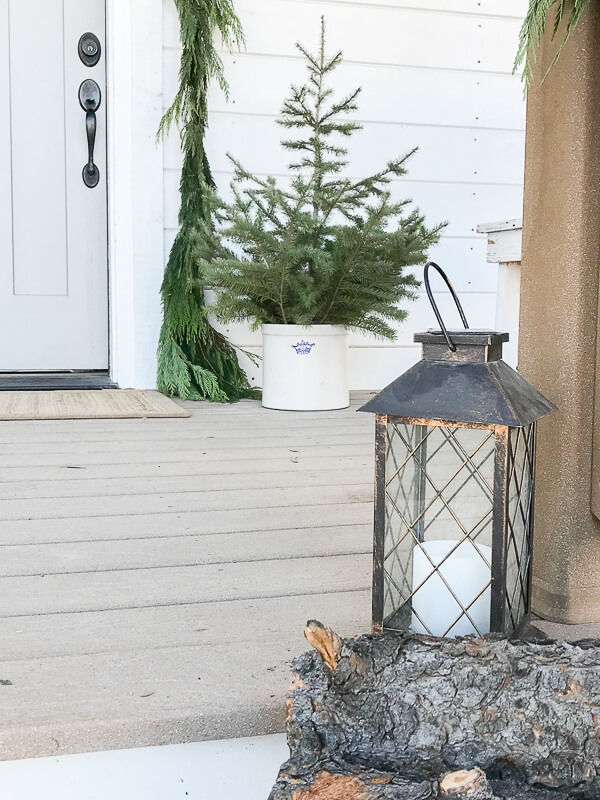 I hope you have enjoyed peeking into my home and seeing how I am decorating for the holiday season. This is my favorite time of year and I love decorating for it! Check out these products I have rounded up similar items if you want to get this look! I would absolutely love it if you shared this with friends or family by pinning it to Pinterest or sharing it on Facebook. This is how we get traction on our posts! 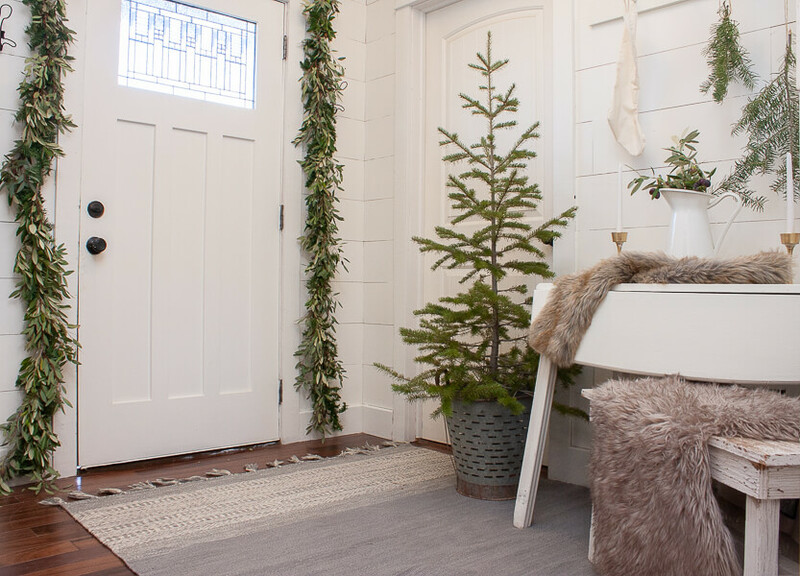 Now, if you haven’t yet, hop over to Designing Vibes to see how they are decorating this year! 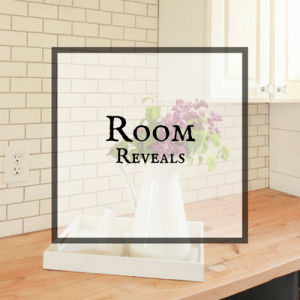 And you can check out all the amazing home tours below! « How to Make Dried Orange Slice Garland for Christmas! 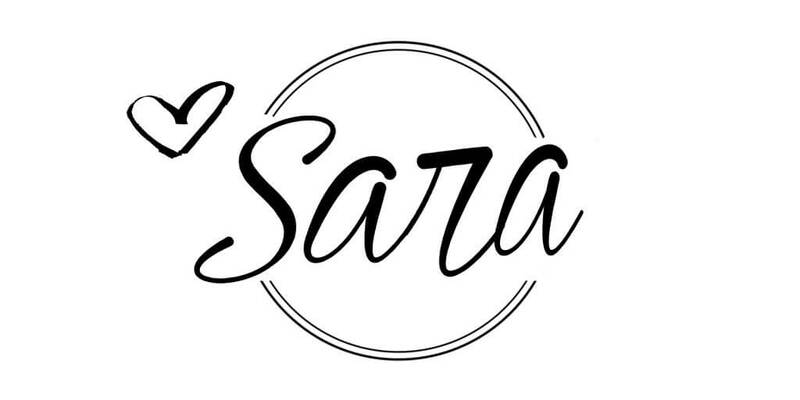 This is beautiful, Sara! I love the fresh greenery. It all came together perfectly. You nailed the Scandinavian theme!! Your Scandanavian take on Christmas is absolute perfection….I am pretty obsessed. It’s so beautiful and fresh. Love the greenery and pretty handmade decor. 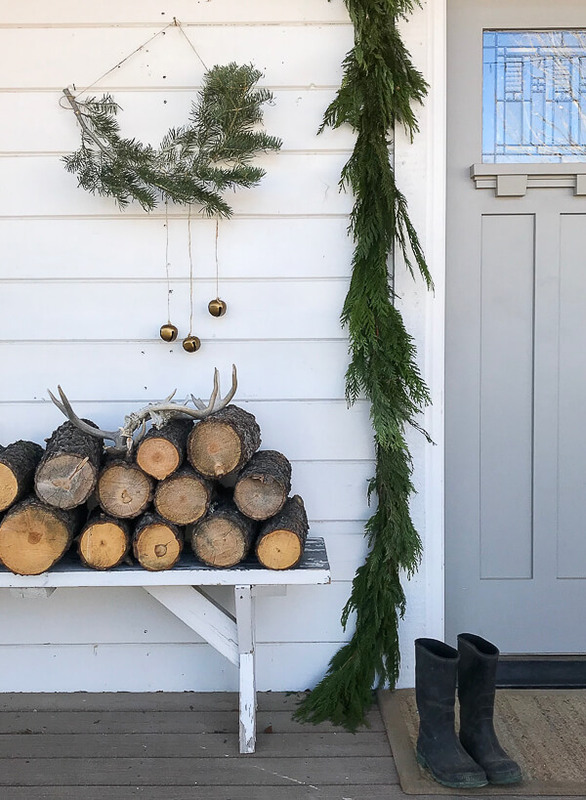 Perfectly farmhouse hygge. Love your Christmas post more than any other I’ve seen. Everything is simple and beautiful – as Christmas should be! I love every bit of this Sara! I also paired down so much of my decorations. I left them in the boxes and didn’t feel the least bit guilty. 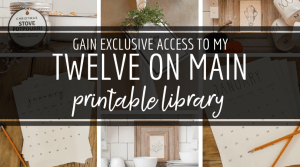 Your porch and entry are perfect! I love this look! So simple and fresh but still festive! Your style and hygge is just what I need today! Your taste and placement of pieces is so lovely.